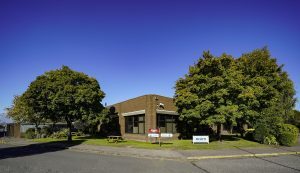 Make Acorn Business Centre Cork, your first port of call. The date that the UK is scheduled to leave the European Union, 29th March 2019 is moving ever closer. More and more businesses will have to make decisions about what their operations will look like in a post-Brexit world and where they need to be located to best suit their business. Ireland is seen as a key area for those who want to keep a base in Europe and Cork is a city that is growing rapidly and welcomes new businesses. Easy movement within the EU / good transport infrastructure. Cork has and international airport that links to the key European destination cities and onward throughout the world. Cork has a large port for goods import and export and a direct route through this to Europe. Cork has an English speaking and multilingual well-educated workforce. Cork has a University, Institute of technology, Maritime training college and other educational institutions ensuring a continuous outflow of qualified people to fill jobs. Cork has a large variety of multinational and home-grown companies covering sectors including Pharmaceutical, medical devices, electronics, engineering and others. These can potentially be client base or service provider to new companies moving in to the area. Cork is a great location to live in. It is renowned for its excellent quality and variety of restaurants. We are famed for our English Market that provides fresh local produce and artisan products. Corks costal location provides plenty of opportunity to pursue activities like sailing, fishing, and walking on our blue flag beaches. Cork has many green areas within and outside the city and has a wonderful wildlife park in Fota that is second to none. We also have a city museum, art gallery and theatres to satisfy those who like the creative arts. Cork has many supports available to business who move here including Cork Chamber who support local businesses with leverage on key issues, local business information and training. Local enterprise offices, Cork city and county council business supports, Plato and IDA, are among those supporting businesses in Cork. Acorn Business Centre in Cork offers flexible workspace to businesses who need space and want the option to move in, upscale or reduce space quickly. Located near the Jack Lynch tunnel in Cork, the centre is ideally positioned to give speedy access to the city centre, Cork Airport, Little Island commercial area, or the main roads to Dublin the east or west within 10 minutes. Another benefit of having a flexible office space with Acorn is that our clients have one bill per month for office space making budgeting easy and saving on all of the overheads associated with having your own space providing significant cost savings.